Keep reading for a chance to win a print copy of PLAIN PURSUIT. But first I have to tell you, I’m so excited about our guest today. Alison Stone proves that great suspense comes in all flavors. I’d describe her books as sweet suspense, but she can elaborate on her writing herself-keep reading for an interview with the lovely Alison! All I know is I adored her latest release: PLAIN PURSUIT. This gem of a story set in Amish country has all the ingredients I crave: twists, turns, well-drawn characters, and of course nail-biting suspense. Alison has also given us insight into a faith and culture we don’t normally have access to. It’s just a plain great read, and written with a fresh, wonderful voice. You won’t want to miss it. After the birth of her second child, Alison left Corporate America for full-time motherhood. She credits an advertisement for writing children’s books for sparking her interest in writing. She never did complete a children’s book, but she did have success writing articles for local publications before finding her true calling, writing romantic suspense. Alison lives in Western New York with her husband of twenty years and their four children where the summers are absolutely gorgeous and the winters are perfect for curling up with a good book–or writing one. Besides writing, Alison keeps busy volunteering at her children’s schools, driving her girls to dance, and watching her boys race motocross. Random Acts and Too Close to Home were released by Samhain Publishing in 2012. Plain Pursuit, a Harlequin Love inspired Suspense, is available now. When her brother is killed in a small Amish town, Anna Quinn discovers she’s an unwelcome outsider. But the FBI agent investigating the case is right at home—because Eli Miller was born and raised in Apple Creek’s Plain community. Eli left his Amish faith behind long ago, but his heart is rooted in a local cold case he can’t forget—a mystery with strange connections to Anna’s loss. Desperate to uncover the truth, Anna and Eli are faced with stony silences and secrets…secrets that someone wants to keep buried in the past. Carey: Who are some of your favorite suspense authors? Alison: The list of suspense authors I enjoy is long. But Lisa Gardner, Erica Spindler, Wendy Corsi Staub, and Harlan Coben are a few of the names that come to mind. Carey: Oh, we need to have our own book club! I guess great minds read alike. Does your background in industrial engineering influence you as a writer? Alison: My engineering background is both a blessing and a curse. My analytical side is great for plotting suspense. However that same part of my brain gets hung up on being a perfectionist. Perfectionism only leads to head banging and procrastination. I continually have to remind myself it’s okay to write a “crappy first draft.” It may come as no surprise that I prefer the editing process. I get tremendous satisfaction from fitting all the pieces neatly (and sometimes not so neatly) into place. Carey: Alison, you describe yourself as a writer, mom and volunteer, just trying to figure it all out. I’m guessing part of what you’re figuring out is balancing family and career. What’s your best advice for others trying to find that balance? Alison: Um, learn to say no? I’m getting better now that I’m a published author. Before I sold, I tended to volunteer my days away. Now, I realize I should have protected my writing time more. I still volunteer, but I’m more selective. It’s also easier to write now that all four of my kids are in school during the day. I’m lucky I don’t have a day job, so I know I have it much easier than those who work outside the home, have children, and write. But the most important advice I have for others (and I’m constantly reminding myself) is to enjoy the moment. To stop thinking “I should be writing” when I’m spending time with my kids…or doing almost anything else. The pressure to write more, better, faster is always there, but my new focus is to be “present.” Life’s moments are fleeting. Carey: I have to say that resonates with me. So much of the time I’m thinking “I should be writing” when what I should be doing is being present in the moment. 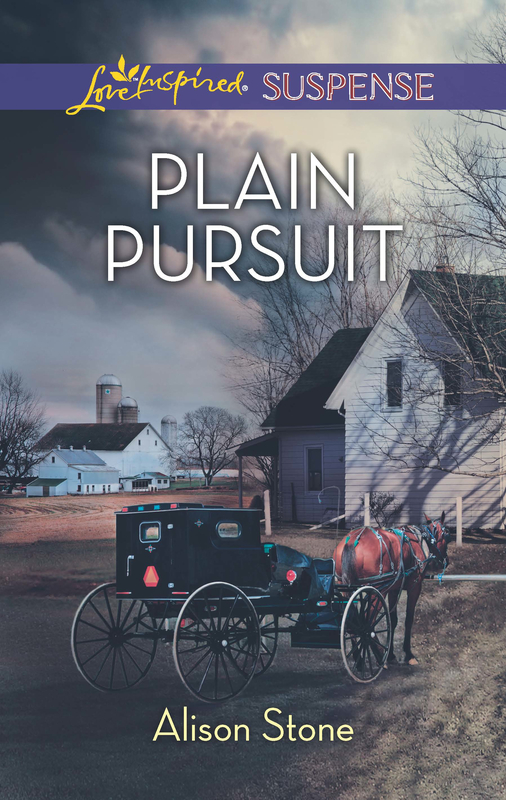 Your current release, PLAIN PURSUIT, takes place in a fictional Amish community called Apple Creek. What drew you to write an Amish romantic suspense? Alison: As a writer, I’d read about trends and popular settings. The idea for an Amish story kept popping up. I had long been fascinated by the Amish. When I was a little girl, I remember seeing an Amish gentleman riding on the edge of the road in a horse and buggy. When my dad explained that the Amish didn’t use electricity, I was fascinated. No TV? No Happy Days? I kept putting the idea of writing an Amish story off. I’ll admit, I was a little intimidated by the research. Then when I was at the RWA conference a few years back in NYC, I heard a Harlequin editor say she’d love to see more Amish romantic suspense. No more excuses. I had to write my Amish story. The idea of a plane crash in Amish country came to me while I was still in the hotel in NYC. I came home and started doing research. I sold Plain Pursuit less than a year later. Carey: Your hero, Eli Miller, is an FBI agent who has left his Amish faith behind. What is Eli’s biggest personal challenge when he returns to his Amish roots? Alison: Eli’s biggest challenge is facing his past. He became an FBI agent years after his little sister went missing while under his care. When he returns home, he has to deal with the guilt of leaving his Amish faith and causing the pain in his mother’s eyes. Carey: How is the theme of forgiveness woven into the story? Alison: In doing research on the Amish, I read the book Amish Grace: How Forgiveness Transcended Tragedy. It retells the tragic events of the one-room schoolhouse shooting in Nickel Mines, PA that killed 5 Amish children and wounded 5 more. Immediately the world was amazed at how the Amish were able to forgive the gunman. Forgiveness is an integral part of the Amish community as prescribed by the New Testament. I knew I had to weave the theme of forgiveness into Plain Pursuit. In my novel, the hero has to learn to forgive the person responsible for his sister’s disappearance. And just as importantly, he has to learn to forgive himself. Carey: That’s a powerful lesson. What do you see as your heroine, Anna’s, greatest flaw? 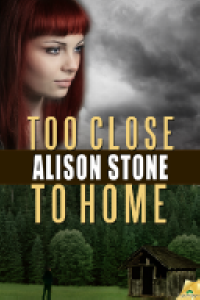 Alison: Anna’s greatest flaw is distancing herself from loved ones for fear of getting hurt. When she was a young girl, her parents died in a murder-suicide. Then as a young woman, she avoided her brother. The story opens with her brother’s death in a plane crash, leaving her to pick up the pieces. (Anna’s character growth also explores forgiveness.) She has to learn to open her heart to find peace. Carey: What makes Anna and Eli a couple to root for? 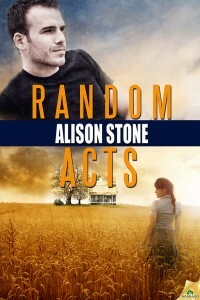 Alison: Who couldn’t root for the Amish-turned-FBI hero and his damsel in distress? No seriously…both Anna and Eli have experienced terrible loss in their lives leaving them afraid to take chances with their hearts. When Anna’s brother turns out to be the prime suspect in the ten-year-old disappearance of Eli’s missing sister, they have to learn to put their differences aside to work together to find the truth, all while someone is working very hard to keep secrets buried in the past. I don’t want to give away any spoilers, but Anna and Eli do live happily ever after. Carey: What can readers expect to see from you in the future? 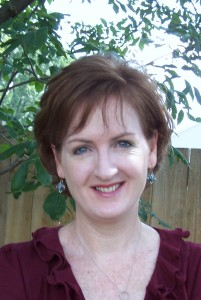 Alison: I’m thrilled to announce I recently sold another book to Love Inspired Suspense. This one involves murder, betrayal, and the high-stakes world of pharmaceutical research. Needless to say, I left the Amish world behind for my next story, but I do hope to revisit the Amish community of Apple Creek, New York in future books. Carey: Congratulations! And I have to say that story sounds intriguing. I look forward to reading it! Alison, thank you so much for being our guest today! Alison: Thank you for hosting me on Kiss and Thrill. One lucky commenter will win a print copy of PLAIN PURSUIT!